Product prices and availability are accurate as of 2019-04-06 02:04:30 EDT and are subject to change. Any price and availability information displayed on http://www.amazon.com/ at the time of purchase will apply to the purchase of this product. 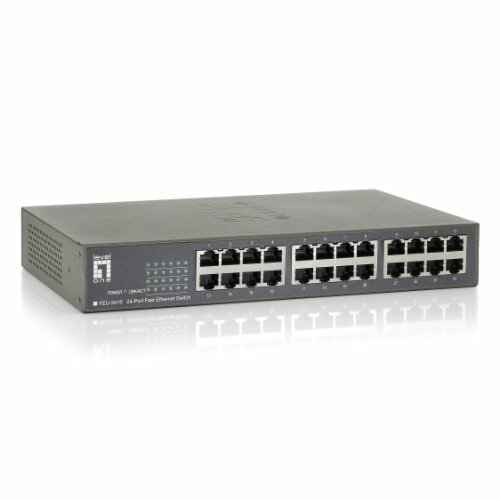 The 71X5-00124 is a 10/100Mbps NWay Unmanaged Switch with outstanding performance and high efficiency. With 24 NWay auto-negotiation ports, this switch fulfills the needs of connecting users on a network with automatic selection of best network speed and duplex mode. The 71X5-00124 supports Green Ethernet and is compliant with IEEE 802.3az Energy Efficient Ethernet to provide power saving benefits without compromising performance. One way is to automatically detecting the length of connected cables and to adjust power usage by saving energy on shorter cable connections. The 71X5-00124 supports IEEE802.1p priority queuing Quality of Service which provide considerably enhance download quality. User can reserve bandwidth for important functions that require a large bandwidth or have a high priority, such as VoIP, web browsing application or video conferencing. 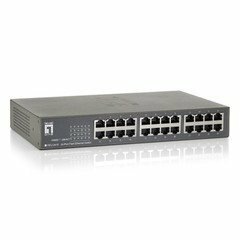 The 71X5-00124 is plug-and-play and supports all kind of network protocols to make installation and network management easy and fast. LED indicators provide a quick and easy way to read port and switch information.